In fictional stories, the character of the town drunk played different roles depending on the plot. 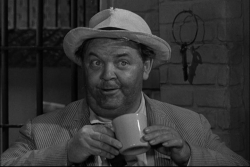 “Otis” in The Andy Griffith Show and “Barney” in The Simpsons, were there for comic relief. The basketball-loving town drunk in Hoosiers, played by Dennis Hopper, changed his life around and helped Hickory win some games after he sobered up. 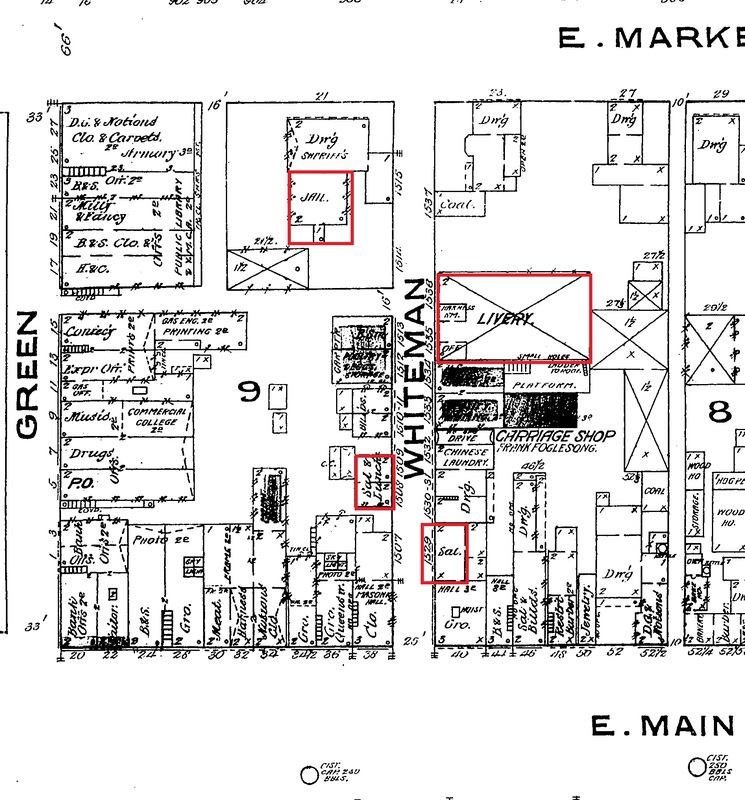 During the 1880s, the city of Xenia had its own town drunk. 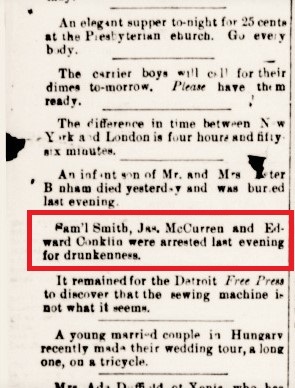 Edward Conklin had been arrested quite a few times for public drunkenness in the city during the late nineteenth century (See Below). An officer was nearby and heard the scuffle. Scroggy insisted that the officer arrest Conklin. Conklin was immediately arrested and was taken to jail. Below is a map of the scene of events. When they reached the jail, Conklin refused to go in. The officer had to push him inside and lock him up. This entire contentious episode started a week prior when Conklin and Adam Hornick were in a court case battle with Harvey and Clara Allen. The Allens attorney, Thomas Scroggy, had apparently said something about Conklin’s sister during the trial (See Below). Conklin accused Scroggy on the night the trial had concluded. Conklin approached Scroggy on a street corner and yelled this at him after shaking Scroggy’s hand. A week later, Conklin was drunk again and went after Scroggy, hitting him over the head with a closed fist. The judge found the defendant guilty of assault and battery. 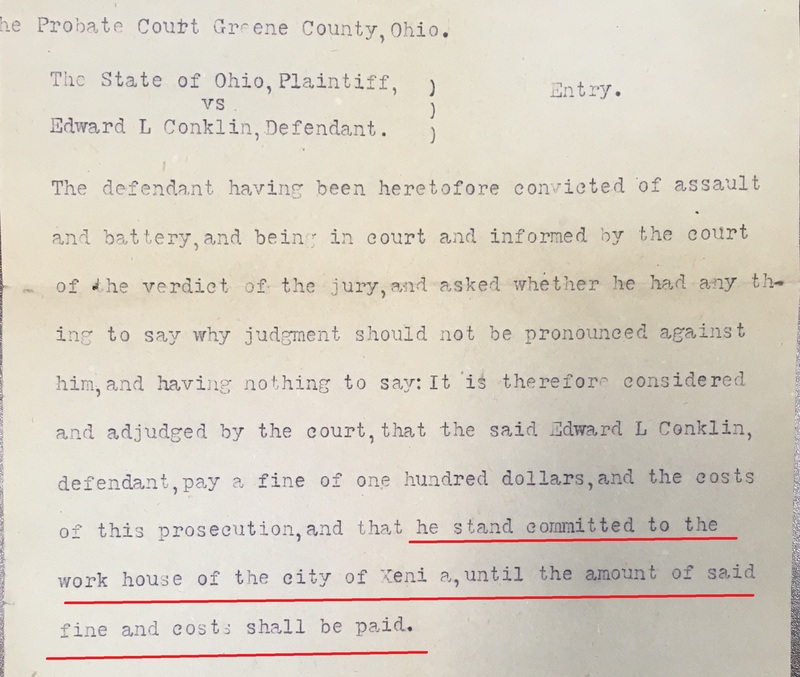 Conklin was ordered to pay one hundred dollars to Scroggy. In order to pay it, Conklin had to... (See Below). Thomas Scroggy went on to become County Judge in 1899. 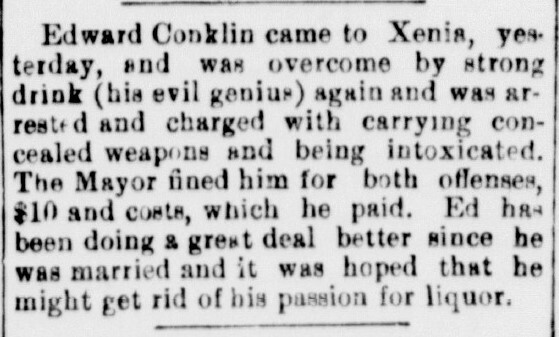 Conklin on the other hand, reverted back to his old ways (See 1886 Article Below). It seems many people in the city were aware of Conklin's behavior. I wonder if any of the temperance women who were protesting in the streets in Xenia ever encountered him? This Week's Trivia Question: How long did Thomas Scroggy serve as the Greene County Judge? Answer to Last Week's Trivia Question: In 1805, William Gordon opened a small brewery where in the county? Answer: Xenia, Ohio.